RECIFE, June 23, 2014 - Croatia's goalkeeper Stipe Pletikosa (R) blocks a shot during a Group A match between Croatia and Mexico of 2014 FIFA World Cup at the Arena Pernambuco Stadium in Recife, Brazil, June 23, 2014. 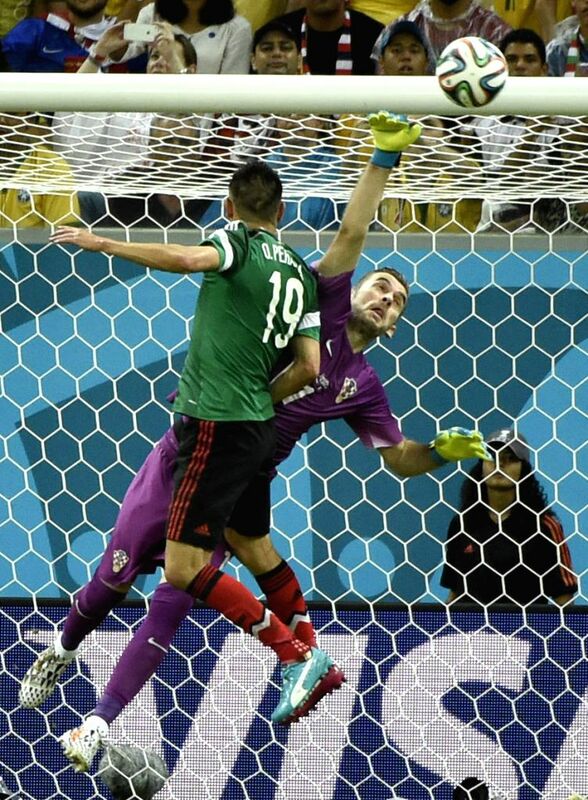 Mexico won 3-1 over Croatia on Monday. Croatia's Sime Vrsaljko (2nd L) competes for a header during a Group A match between Croatia and Mexico of 2014 FIFA World Cup at the Arena Pernambuco Stadium in Recife, Brazil, June 23, 2014. Mexico's Hector Moreno (L) competes with Croatia's Ivan Perisic during a Group A match between Croatia and Mexico of 2014 FIFA World Cup at the Arena Pernambuco Stadium in Recife, Brazil, June 23, 2014. Croatia's Mateo Kovacic (2nd R) runs with the ball during a Group A match between Croatia and Mexico of 2014 FIFA World Cup at the Arena Pernambuco Stadium in Recife, Brazil, June 23, 2014. 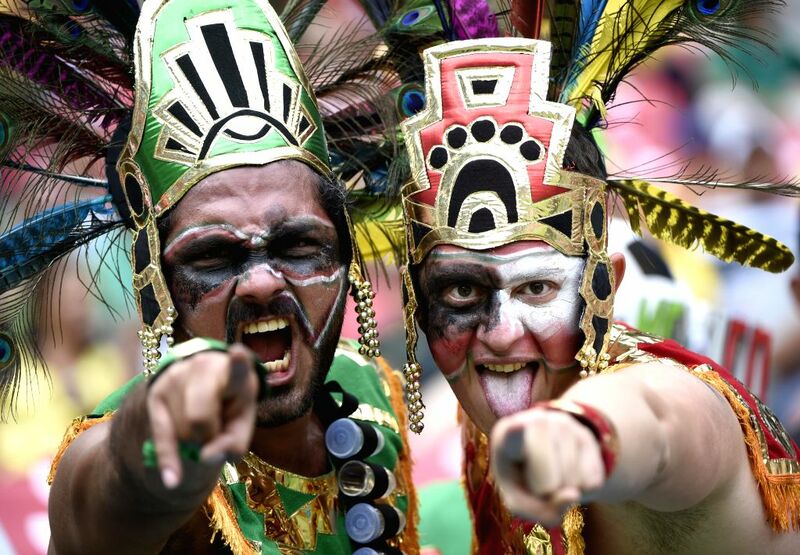 Mexico's fans pose before a Group A match between Croatia and Mexico of 2014 FIFA World Cup at the Arena Pernambuco Stadium in Recife, Brazil, June 23, 2014. 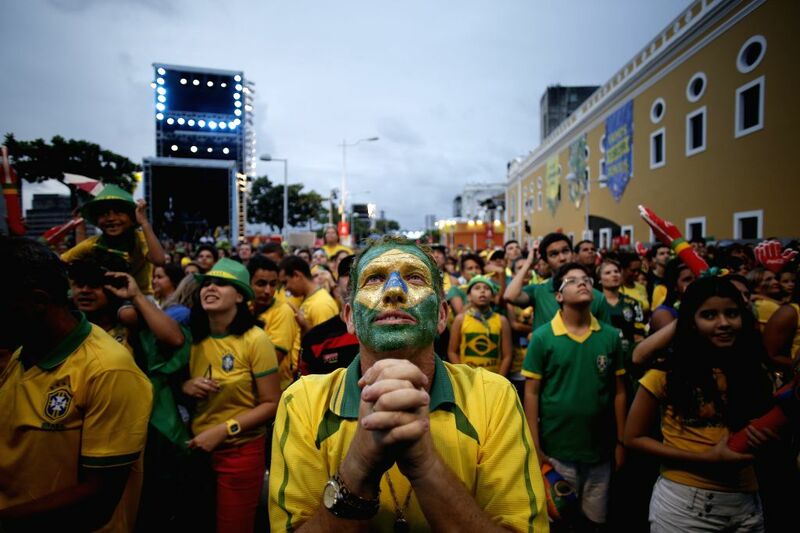 Brazilian Fans react while watching the game between Brazil and Cameroon in the FIFA Fan Fest in Recife, Brazil, June 23, 2014.